Google has begun to deploy the new version of Gmail . The interface was completely redesigned and is consistent with other Google web applications. Gmail has improved its system of conversation, provides faster access to advanced search and more control of the chat window and labels. 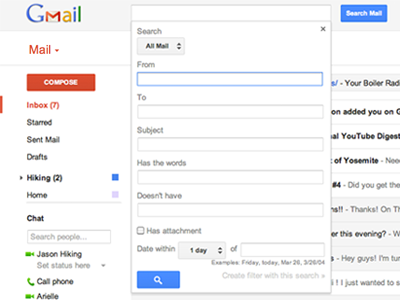 Gmail‘s new design includes Modern look, New themes, Clean conversations, Improved search, More control and much more. Conversations have been redesigned to bring the content of your messages to the forefront, and profile pictures make it easier to see who you’re talking with at a glance. Several improvements were made to the chat window. They are more airy, again, the picture appears in the profile of participants in the conversation. 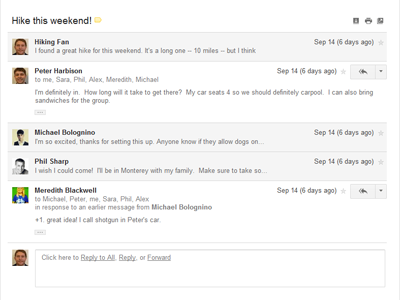 The message window is now independent of the toolbar and the left sidebar. So that these items are still available. Labels and categories that appear on the left sidebar adjust automatically. The list of labels and cat grows automatically if the mouse pointer is on them. Unfortunately, gadgets, and Calendar Documents seem to have disappeared. 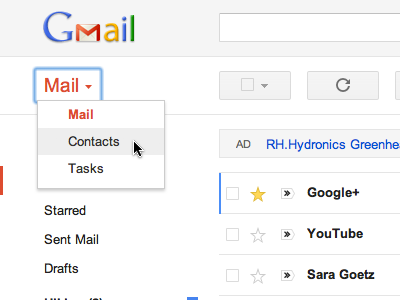 Access to contacts and task manager on the new version of Gmail through the button is located below the Gmail logo. For example, if you check your messages and you click the “Messaging” you will see “Contacts” and “Task List”. Simply select the view you want to display on the screen. Some other new features such as new themes and the ability to change the density of the display have been added. 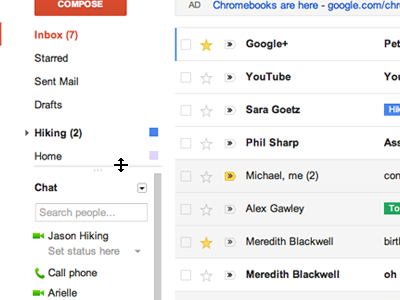 All in all, this upgrade improves the interface of Gmail. Information is easier to navigate and better organized. You can temporarily postpone the switch to the new look in the new settings menu. The new look is now available to everyone. To activate the new version, just click on the button “New interface” that appears in the lower right corner of the Gmail window.